Every MLM Company depends on two most important applications for its success- the most significant for management and administrating the whole MLM system is the MLM Software. The next most important thing is the captivating MLM Presentation. This MLM Presentation can be Flash MLM Presentation or Power Point MLM Presentation. 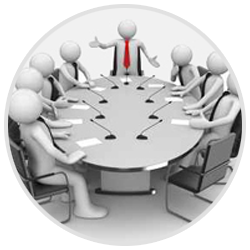 MLM Companies can reveal and clarify Multi Level Marketing Business Plans and other details using Power Point Presentation to easily burn slides for traditional slide projectors for use by the MLM Company members. You don't have to be a scholar or a Web Designer or developer to make people understand the Plans and prospects of a MLM Business. A Power Point Presentation gives you all the authority to explain the scopes and view point of your network marketing business that can methodically explicate the MLM product details, MLM Schemes even the rewards, gifts or other mlm plans to the clients or viewers. MLM Software Kolkata has extensive experience and is well adept in developing MLM Presentations and is engaged in creating Simple Powerpoint MLM Presentations, Complex Powerpoint MLM Presentations. Theme Power Point Presentation:Our theme Power Point Presentation is not a mere MLM Power Point Presentation, with this main feature we mainly focus on creating the need for your clients to join or buy your ML products or services. Simple presentation would not be able to serve this purpose the way our Theme Power Point Presentation can by skillfully designing and developing the Presentation in a way that first and foremost creates the demand and elucidates how the service and products influence or can change their life of the customers and can help the clientele to gain financial freedom and earn profit to make their wealth grow day by day.